This is a picture took by a customer. 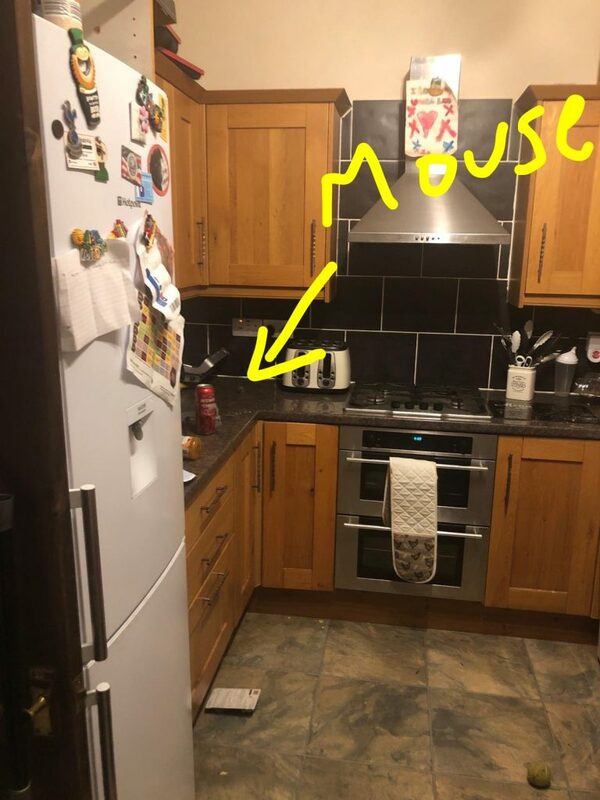 It shows his kitchen with a mouse sitting boldly on the worktop. Its often said to me that the mouse didn’t even move “Bold as brass just staring at me”. This is because a mouse has very poor eyesight in comparison to ours. A mouse has evolved to live in small spaces and undergrowth where there is no specific benefit to having good eyesight. When a person walks in to a room the mouse freezes as it hears the activity and detects the change in air movement. It often appears as there just staring at us but in fact it stops moving to hide its presence. After a moment or two it will dart for cover. Mice are an extremely determined pest. They are so small that they can fit in a hole that a pen can fit in. 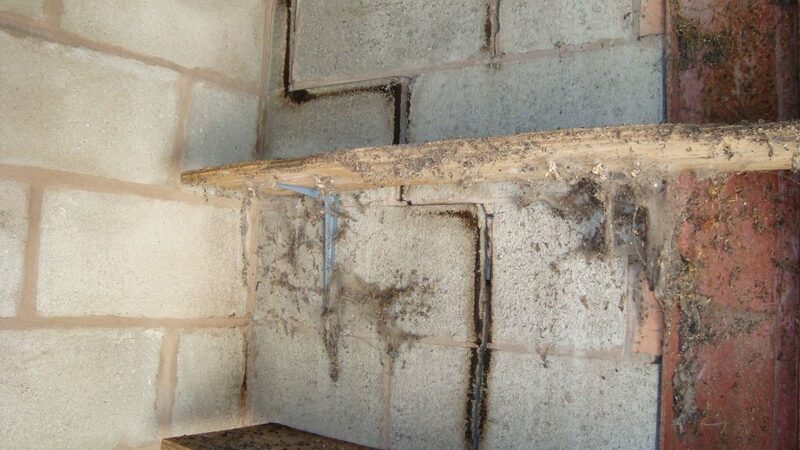 Keeping them out of a property can be extremely hard. 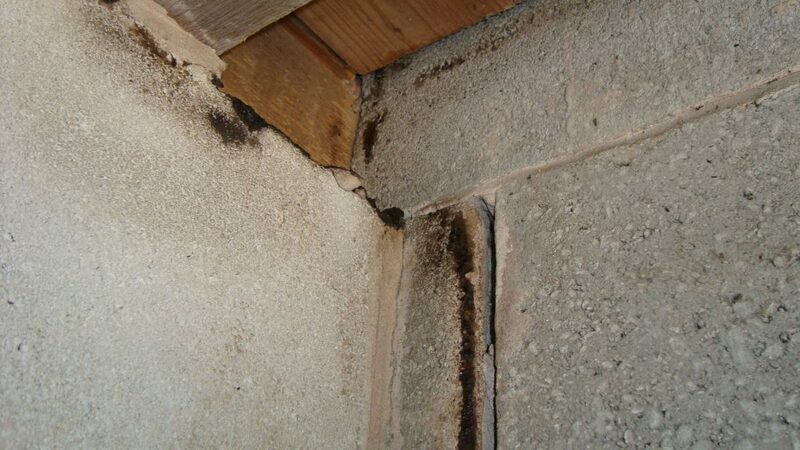 Signs to look for in your house for infestation are droppings, smear marks and the mice themselves. The droppings are small like grains of rice and are either dark brown or black. The smear marks are greasy marks where the mouse uses the same path over and over again. They can become extremely obvious over time. These photos are from a grain store in a stables. The mice have been here for many years and in some numbers. 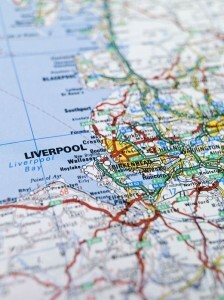 At MerseyPest we specialise in all types of pest control. Call us to speak to an expert. As the weather gets colder the local rodent populations start to struggle more outside. Food becomes more scarce and rats start to seek warmer harbourage points. 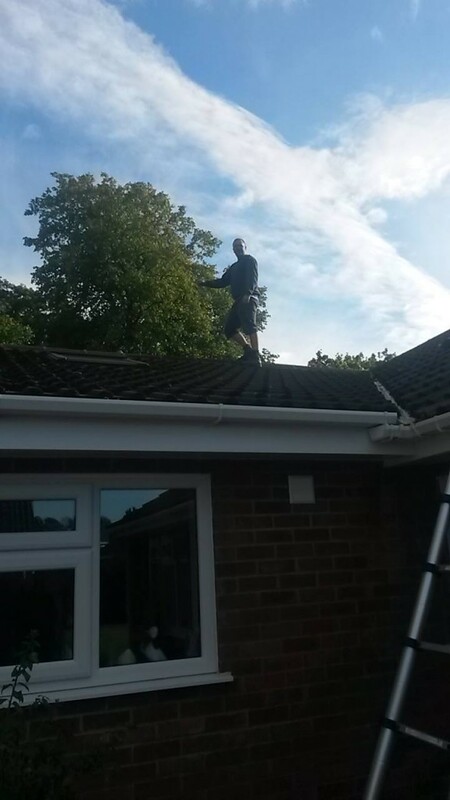 Its essential at this time of year to make sure your house is proofed against any unwanted ingress. It can be as simple as walking round the outside of the house and making sure all small holes are filled. 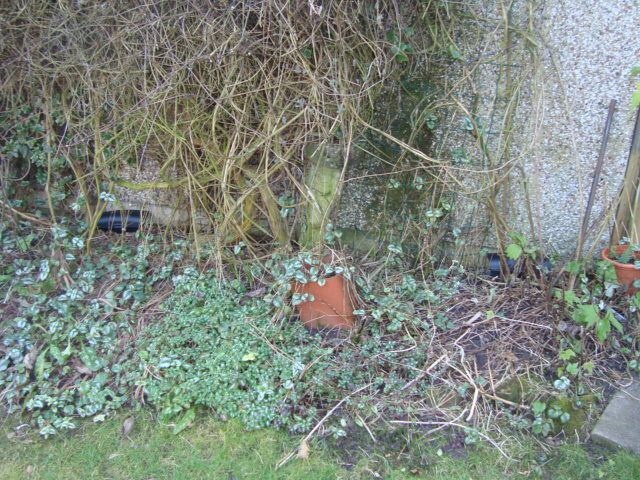 Places to pay attention to are around pipes, where original mortar may have cracked and fallen away. Any loose pointing around bricks. Under door sills and window sills and around garage doors. To prevent mice coming in is slightly more difficult as they as so small. It is still worth doing the same checks as for rats but also using a fine grade stainless steel mesh to cover over air vents in bricks. Mice can easily pass through these. If you can get a pen in to a hole a mouse can pass through it. 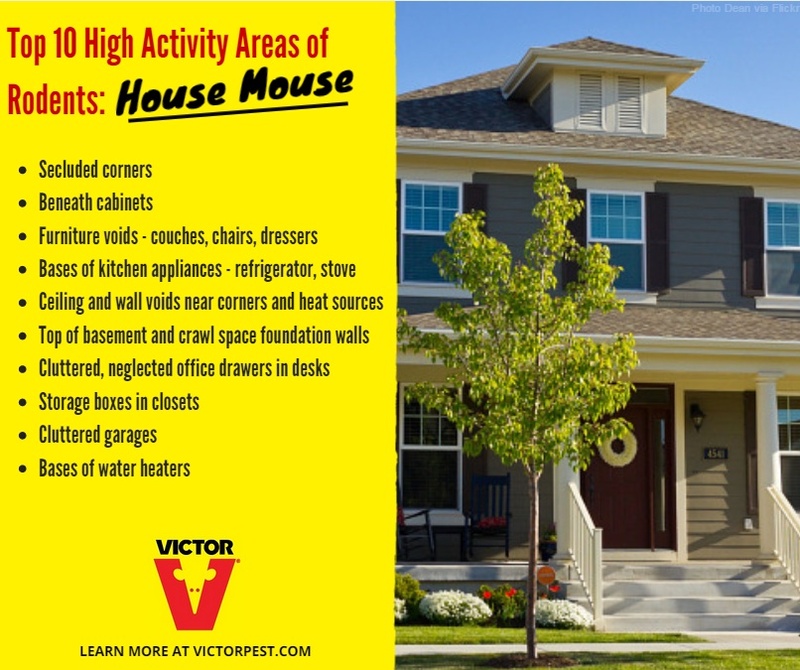 Make your house as safe as you can against rodents in Winter. 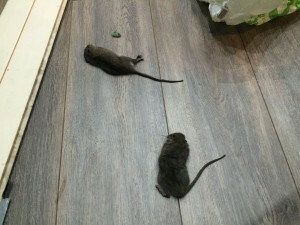 A business in town phoned to ask if we could identify where a dead mouse was in their premises. They have had a fairly recent infestation which they had dealt with using baits and sticky boards. On inspection we discovered that they had forgot to remove one of the sticky boards and the mouse was in an advanced stage of decomposition. Removing the sticky board instantly removed the smell and the staff could get back to business as normal. Pest problem? Phone for details. Click here for information on mouse control. Regardless of the mild Winter we’re well in to rodent season. Rats and mice have already found there way in to our homes and have well established routes they take to find their food. 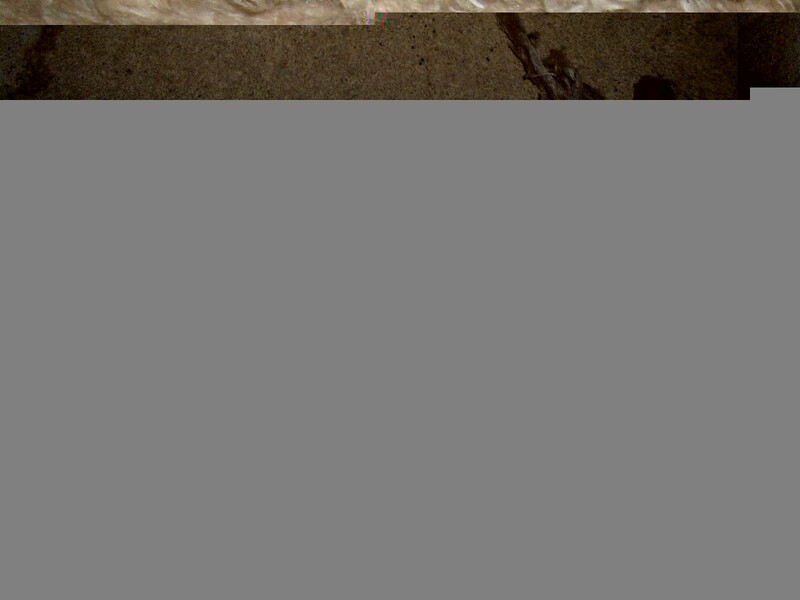 The photo above shows a rat hole chewed in to someones hallway. The rat has gained access to the wall cavity and has chewed through in to the house itself. Once inside it was stealing bread of the side and dragging it in to the wall. Other signs apart from holes and missing food will be in the house. Droppings will soon appear with mice. Slightly later with rats as they have more distinct toilet areas. Then possibly the worst of the signs is actually seeing the rodent itself. Walking to the fridge in the evening to encounter a rat on the kitchen floor is pretty startling in your own home. Any or all of the signs mentioned above should be enough for you to act on the situation. Control measures can be bought from local hardware stores or online, or if you wish you could phone us and we can act upon it for you. Click here for more information on rat control and here for mouse control. An article from The Darlington and Stockton Times. 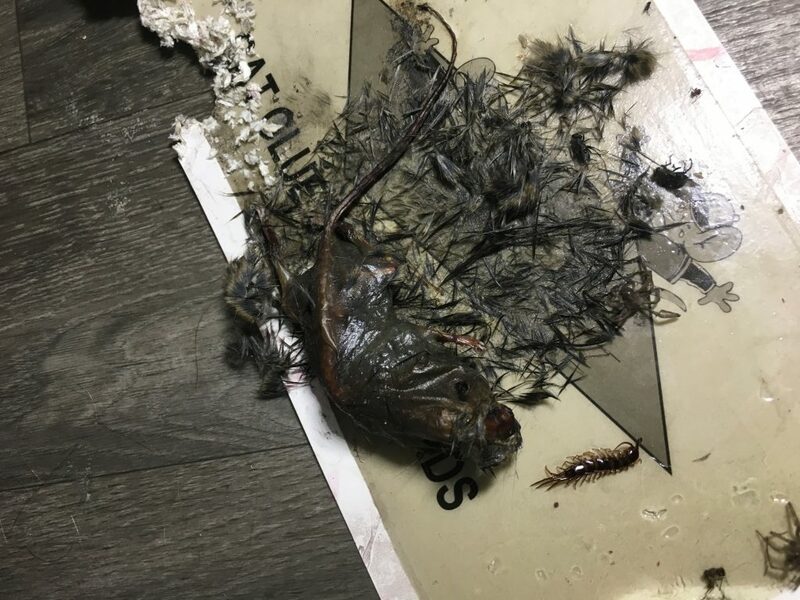 A MIDDLESBROUGH takeaway has been closed after a night-time inspection sparked mouse infestation and hygiene fears. In an “extremely rare” move Zara’s, on Linthorpe Road, was closed immediately after environmental health officers visited it on Thursday, September 3. 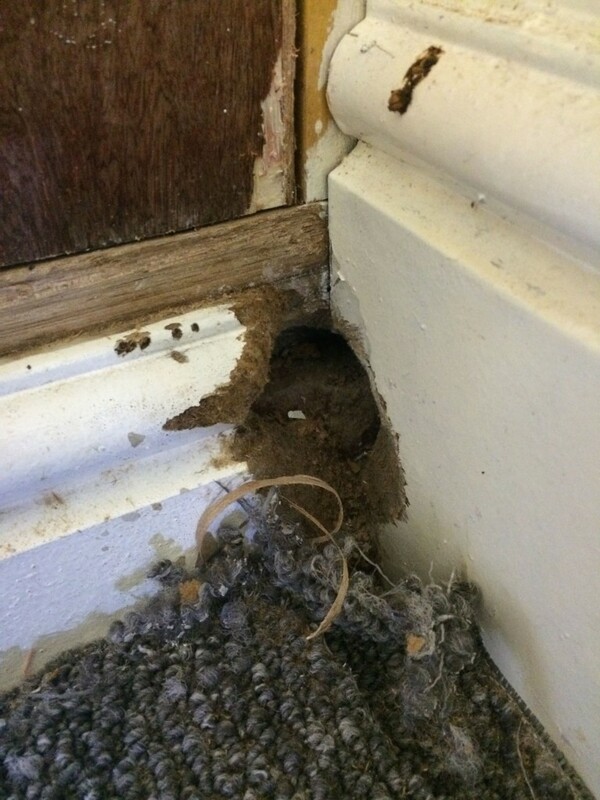 During their visit the officers from Middlesbrough Council’s public protection service found evidence of mouse activity and poor standards of cleanliness. On Monday (September 7), the council was granted a Hygiene Emergency Prohibition Order at Teesside Magistrates’ Court, confirming environmental health officer’s actions. The business now has to stay closed until the council is satisfied that the health-risk conditions have been removed and the premises can be operated hygienically. Environmental Health Manager Judith Hedgley said: “Food businesses have a legal duty to ensure their premises are free from pests and kept clean and hygienic. “Failure to properly manage a premises can lead to pests and other conditions that can present a real risk to consumer safety. “Environmental Health Officers inspect between 500 and 600 food businesses in Middlesbrough every year, and the hygiene standards in the vast majority of these are good. “The closure of food businesses in Middlesbrough is extremely rare and this immediate action is carried out to protect consumers. “Due to the conditions found on this occasion it was necessary to order the owner of Zara’s to close their business. “Once the pest infestation has been removed and the premises thoroughly cleaned, the owner will be able to apply to the Council to reopen. Councillor Julia Rostron, Middlesbrough Council’s Executive Member for Adult Health and Social Care, said: “The Council’s Environmental Health Officers carry out important work to make sure the food we buy in Middlesbrough is safe to eat. “The national Food Hygiene Rating Scheme recognises the hygiene standards achieved by most food outlets. “Environmental Health Officers award a hygiene rating after every inspection and businesses are given a rating sticker to display on their premises. “The vast majority of businesses in Middlesbrough have been awarded the highest ratings to make eating out a safe and enjoyable experience. No one was available for comment when The Northern Echo called. Read the full article with pictures here. We currently use the AF rodent control boxes for our mouse and rat jobs. They have a variety of different shapes and sizes to fit all needs. The photos show 2 of the main boxes we use. The larger box provides a huge amount of bait for heavy infestations. The smaller boxes are great for fitting in to areas other boxes cannot go but also protect non target species from getting the bait. To read more about rat control click here. To read more about mouse control click here. We are now moving firmly into the rodent season. The colder nights and less food in the environment are bringing mice and rats scavenging indoors. 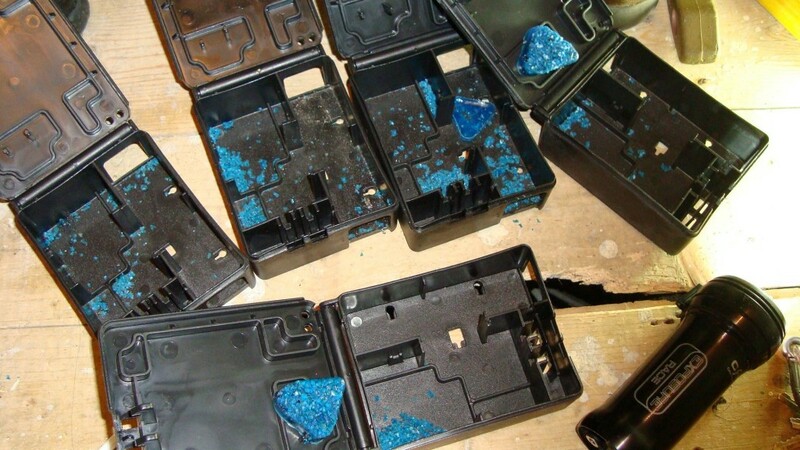 This is a photo of tamper resistant mouse boxes with a rodenticide bait inserted on a spike inside each box. Each bait has got a different amount of rodent damage on it, some are almost entirely eaten with only a residue left in the box. This amount of bait eaten indicates much more than just one mouse. 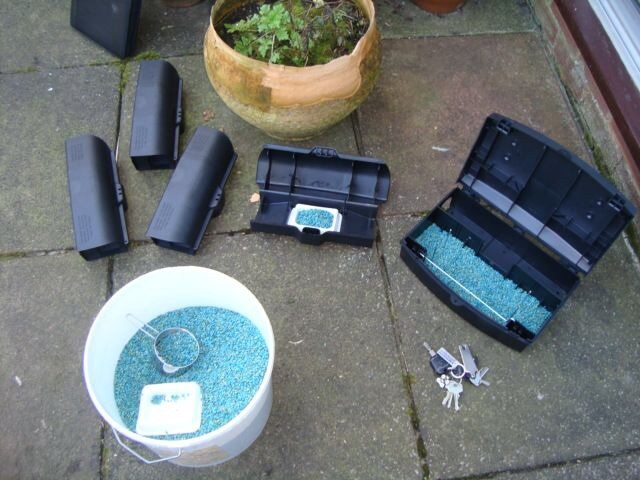 Tamper proof boxes are used to protect children and pets from gaining access to the bait. For more information on mouse control click here. For more information on rats click here.